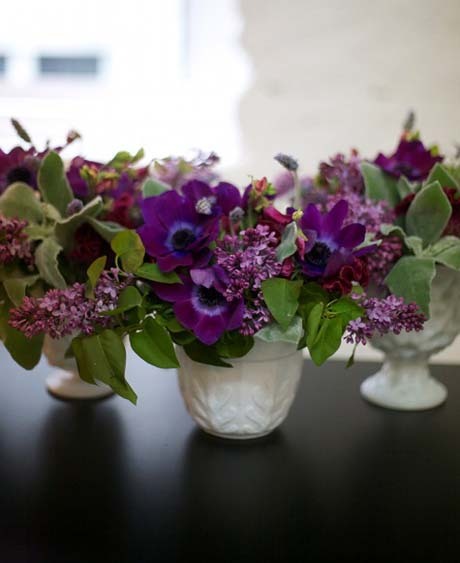 Anemones are my all-time favourite spring bulbs – these and ranunculus which come a very close second. 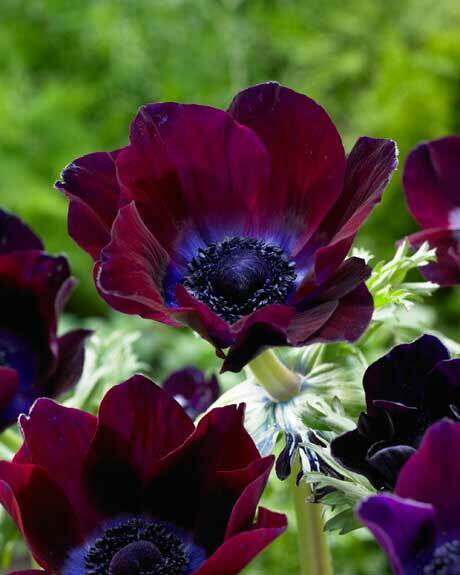 I have a whole lot of the divine Anemone ‘Bordeaux’ (top image) sitting in the fridge at the moment, ready for planting out. (‘Bordeaux’ is pretty much sold out in New Zealand. Though if you’re lucky you may still find a pack at your local garden centre. These came from GardenPost, also sold out.) 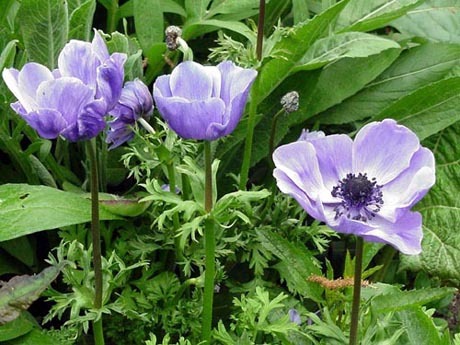 Anemones can be planted from now until May (late autumn). 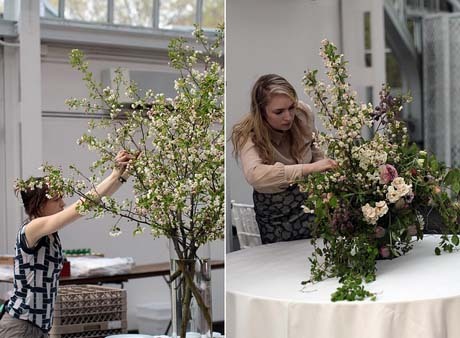 An earlier planting will produce winter blooms, a later one will give you spring blooms. 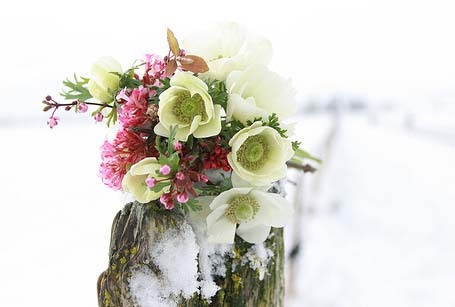 To break dormancy and encourage germination and good flower production, place corms in the fridge prior to planting (six weeks for anemones, four weeks for ranunculus). Then soak for a few hours in tepid water before planting out in full sun. Plant corms with the pointy side down. Anemones are gluttons for food. Feed with a general purpose fertiliser once a month and keep well watered. 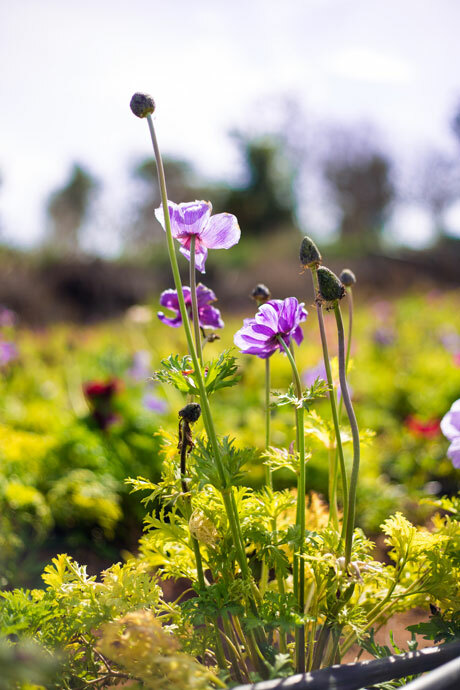 Anemones and ranunculi are some of my favourite blooms and if you planted yours early enough they should be in flower now. 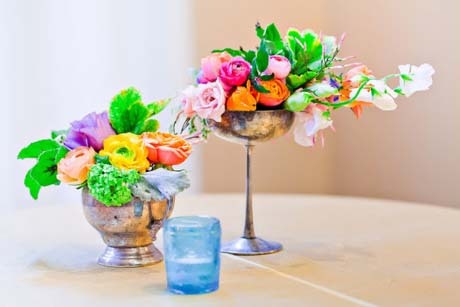 The top photo shows a rainbow of colourful ranunculi and the bottom shows a mix of purple anemones combined with white ranunculi, hydrangeas and blue tweedia. 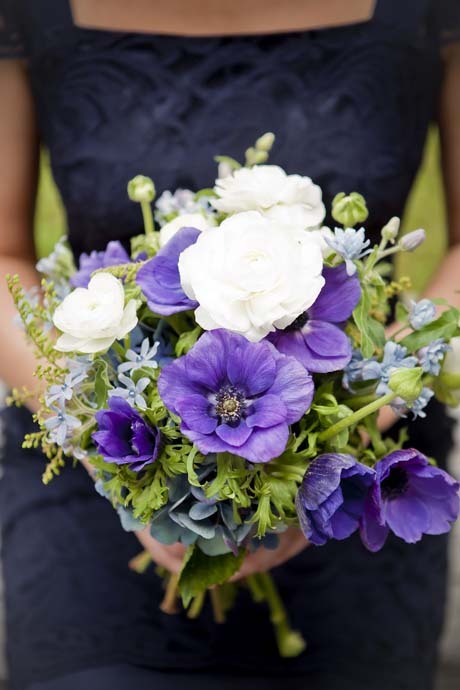 This gorgeous design (purple anemones) was created by the lovely Kiwi ladies from Roses Florists and photographed by Lavara Photography. The top design is from the ever fabulous Style Me Pretty. 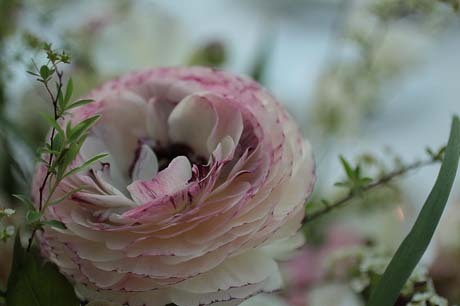 If you didn’t get around to planting anemone and ranunculus bulbs earlier in the year, don’t worry. You can pick up some flowering plants from your local garden centre. 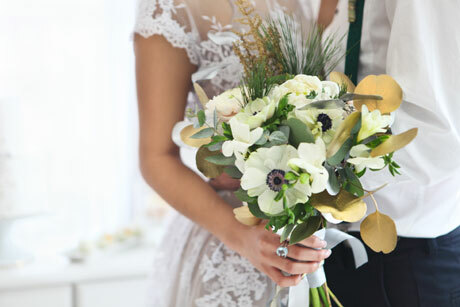 How pretty is this white winter bouquet? It just shows you that no matter what time of year it is, there are always flowers for the picking. 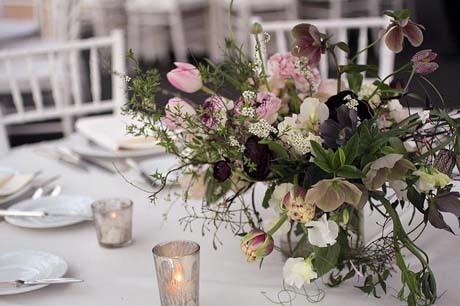 Shown here are anemones and sweetly scented gardenias. There are also blue-grey eucalyptus leaves in there, a nice addition to subtly break up all that white. 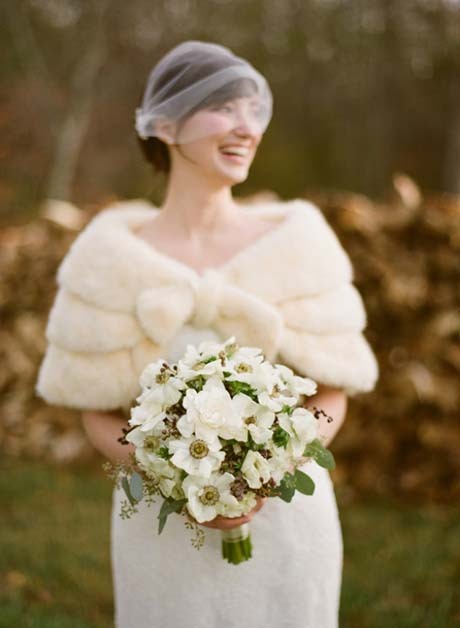 See more photos from this lovely wedding over at Ruffled. 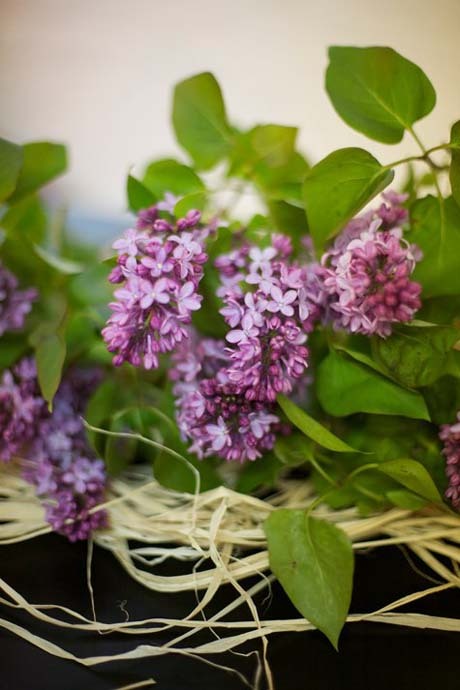 Lilacs are just so darn beautiful, it’s too bad I can’t grow them here in Auckland. But I can grow those fuzzy, brain-like celosia, as seen in the middle photo. 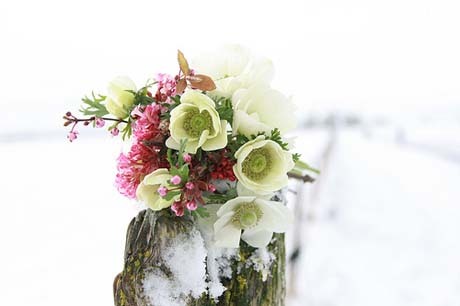 It’s best to wait until spring to plant those though, otherwise they won’t survive the winter. 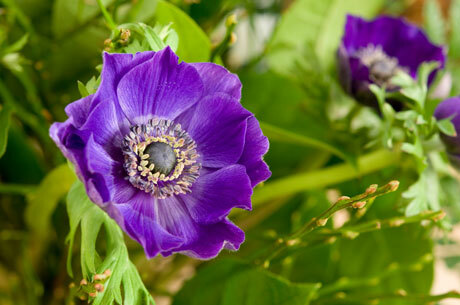 I can also plant anemones like the sumptuous looking purple ones in the bottom photo. In fact, it’s your last chance to get these bulbs in the ground now. 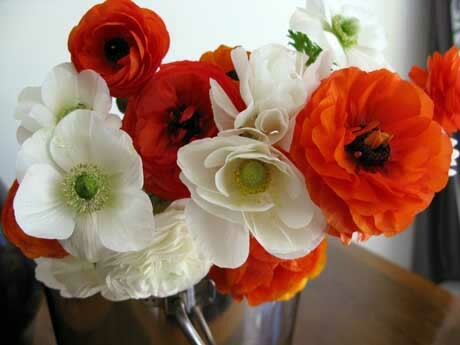 Get them in during the month of May and your anemones should flower for you in late winter/early spring. These lovely images are from Design Sponge. Cor. I rather love this combination. White anemones, with green centres, and what looks to be luculia. 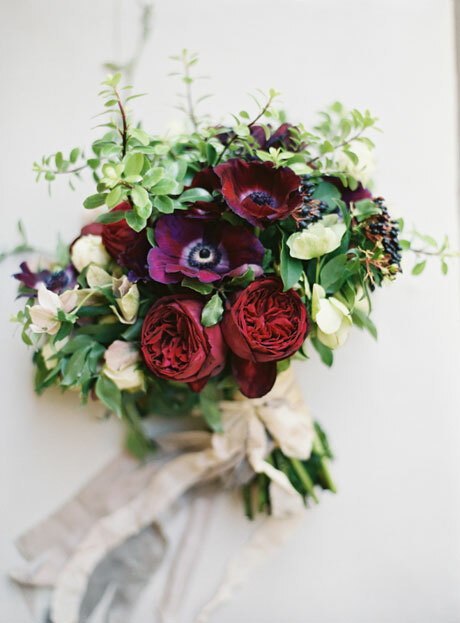 This “little bundle of flowery goodness” was put together by Erin Benzakein of Floret Flower Farm, who grows her own cut flowers and works as a floral designer. 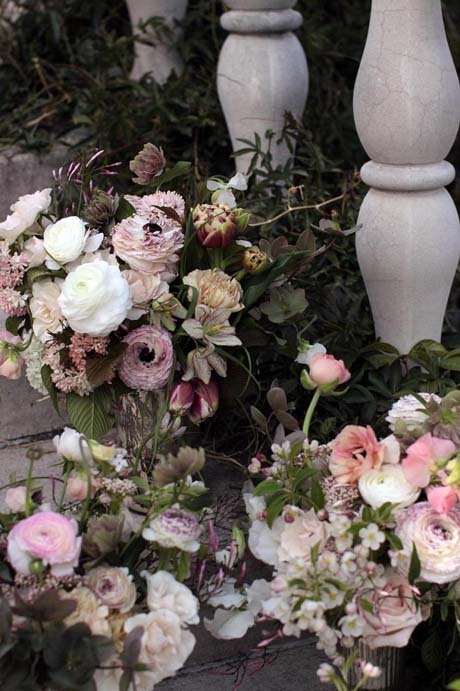 Luculias are great winter bloomers, with big, round heads of candyfloss-pink flowers and a talcum-powder scent. They are best in frost-free gardens, though gardeners in cooler areas can grow them in large pots in glasshouses or conservatories. 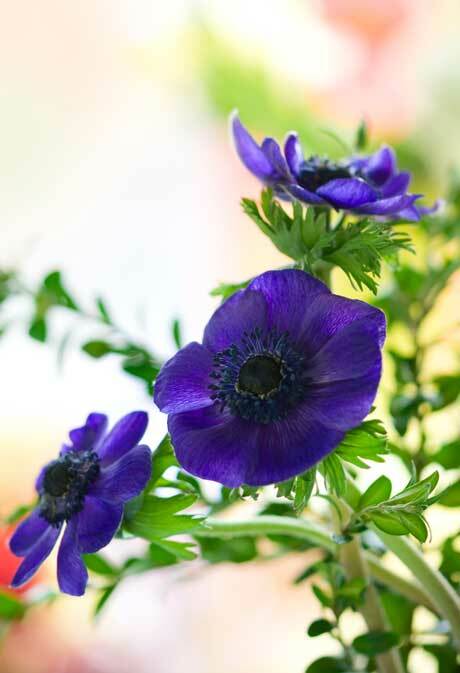 Anemone coronaria is one of my all-time favourite spring bulbs – and they’re brilliant value for money. 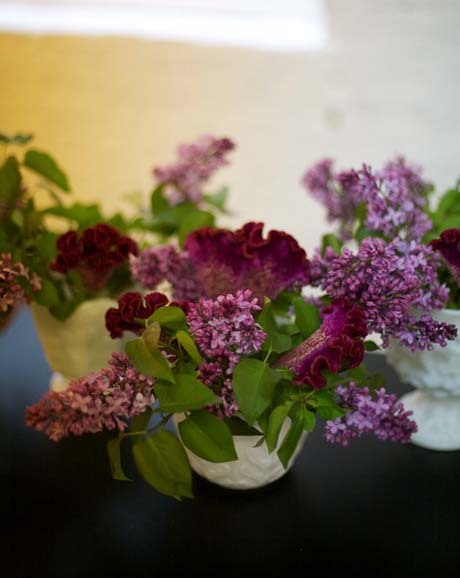 They flower continuously from late winter to summer and they’re superb, long-lasting cut flowers. Most people plant the corms in autumn, but if you sow the seeds now (January to February), you’ll get more bang for your buck – and they’ll flower right on cue, in spring. The seeds will form corms for future years, so you can either lift them once they’ve flowered (in cooler spots) or leave them in the ground for the following year. Egmont Seeds has the variety ‘Mona Lisa Mix’ available to sow now. This gorgeous photo was taken in The Netherlands by Sue McGillicuddy.